Flash AV Software Corp. has released an updated version of their IOS video player component for Delphi XE8 Firemonkey. The professional component is based on the FFMPEG library and has a huge number of features. If you are doing video playback professionally on IOS this is the component to have. They have FFMPEG wrappers for Android, IOS, Windows, and OSX but their components are separated by platform. It features H264 Hardware Decoder playback on IOS8+ devices and supports both ARMV7 and ARMV7S CPUs. The formats it supports are all formats supported by FFMPEG and in addition it can play videos from memory stream, HTTP, HTTPS, RTMP, and MMS. You can play multiple videos at the same time plus it supports both video and audio filters. This is a commercial component and the price reflects that. There is a free trial available as well so you can try it out before you buy. It is not clear whether source code is available or not with the full version. It is also not clear if it will work with Appmethod but you can always try it yourself to see. 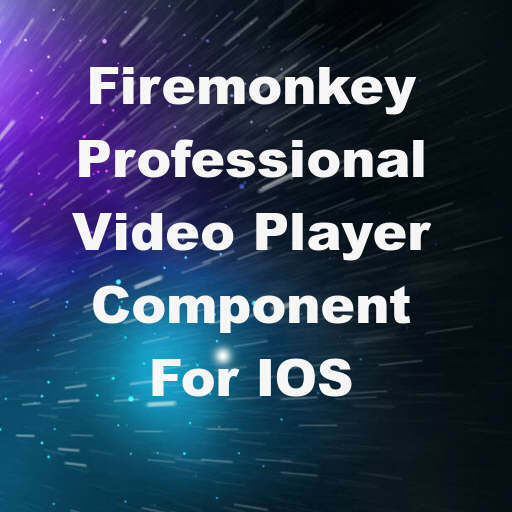 Head over and check out all of the advanced features of this video player component for Delphi XE8 Firemonkey on IOS.